Across the country, people with disabilities are redefining the possible by excelling in scholarly pursuits that were once off limits to them. Evolving attitudes, policies and technology have given rise to a generation of undergrads, graduate students and faculty members with disabilities who demand inclusive spaces, teaching styles and supports. Although the fact that it’s the right thing to do should be reason enough, sometimes decision makers need more convincing. It may be necessary to remind administrators of their legal duty to accommodate, as well as the practical benefit: there’s a long-term payoff since accommodations and services will certainly be used by others to come. Four scholars who are breaking ground in their respective fields reflect on their triumphs and struggles to show how far academia has come in attracting students and staff with disabilities. 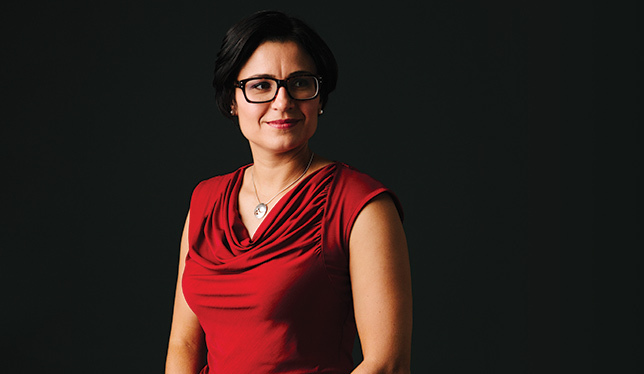 Their stories also reveal how much further Canada’s universities still need to travel. “Some people are quick to assume that if I missed something, it is because of my deafness. They don’t consider that I’m human, ” says Jessica Dunkley. Growing up deaf from birth, Jessica Dunkley didn’t imagine going to university, let alone medical school. University had been out of the question for her deaf Métis parents and many of her mentors in the deaf community. But she fought hard – first getting into a physiotherapy program and then realizing, through exposure to the hospital setting, that she wanted to be a doctor and that new technology like a visual stethoscope made it possible. She excelled through medical school. Melanie Lewis, associate dean of learner advocacy and wellness at the University of Alberta’s medical school, was approached by Dr. Dunkley when she started the residency application process for a second time. Dr. Lewis encouraged her to apply to the school’s residency program. Dr. Lewis recalls that at least a dozen meetings were held to allay concerns and hash out logistics. She says the hospital didn’t have sign language translators, which she found disheartening, given that translators were available for various spoken languages. But having Dr. Dunkley and allies at the meetings helped immensely. 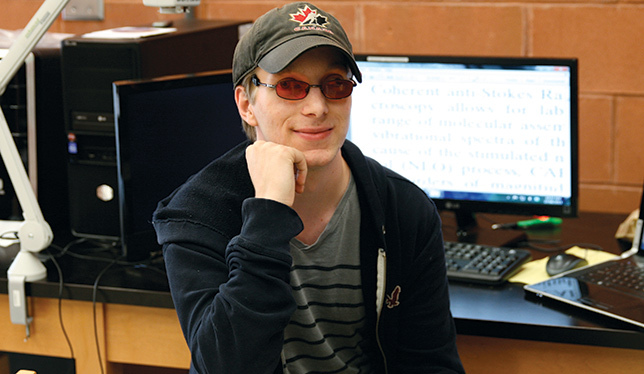 “I hate being given stuff because I’m blind and not being given stuff because I’m blind”, says Ryan Cole, master’s student, physics, Trent University. When Ryan Cole was applying for university, he intentionally didn’t mention in the application that he’s legally blind. “I hate being given stuff because I’m blind and not being given stuff because I’m blind,” he says. Mr. Cole went on to win the Lodge Physics Scholarship as the top student in second and third year; he’s now started a master’s degree in materials science at Trent. Laboratory work posed another issue. While Mr. Cole’s lab partner did the experiments in his first year, his professor Al Slavin didn’t want Mr. Cole to miss out on the practical experience, and he suggested they both look for a solution. Mr. Cole found the answer: a digital camera that magnifies video up to 700 times onto a 43-centimetre monitor. When inserting a wire into a tiny plug, for example, Mr. Cole can now watch what his hands are doing on the monitor, says Dr. Slavin. 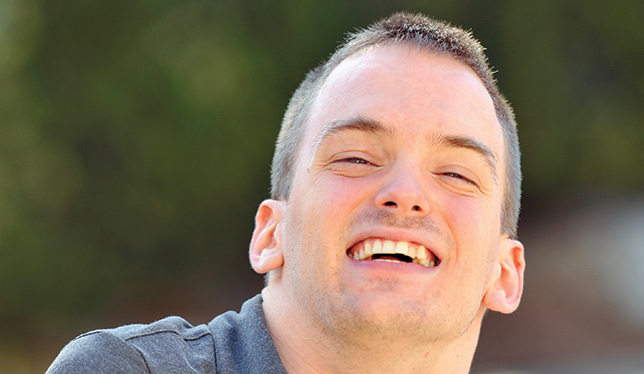 Trent has 12 students enrolled with visual impairments, including one – a computer science student with marks in the 90s – who has no vision at all. While Mr. Cole points out that most legally blind people are discouraged from pursuing the natural sciences, in fact visually impaired people develop skills that lend themselves well to physics and mathematics. “There’s a lot of putting things together abstractly and visualization,” explains Mr. Cole, adding that blind people often mentally map out buildings and streets. Meanwhile, the “well-practised memory” of the visually impaired means they can easily memorize equations. Thanks to Taylor Oetelaar’s unique passion for history, architecture and computational fluid dynamics, we can now imagine what it would be like to lounge in a third-century Roman bath that was heated by multiple fires below a suspended floor. One of many findings of Dr. Oetelaar’s research, for instance, is that the air temperature would have been akin to a modern sauna, even in the winter. His digital reconstruction of the Baths of Caracalla is now part of a high-tech, 3-D model of ancient Rome called “Rome Reborn,” which is being exhibited in museums around the world. But his research applies to the present day, too. “Seeing how the Romans incorporated their systems might give modern engineers ideas for the next innovation,” says Dr. Oetelaar. One of the first engineering students in a wheelchair at the University of Calgary, Dr. Oetelar’s cerebral palsy leaves him with the use of one arm, makes speaking difficult and means he can walk only very short distances. As an undergrad, he had automatic doors and accessible desks installed in all of his classrooms (which remain in place) and he was the impetus for a ramp into the mechanical engineering building. During the course-work portion of his doctoral program, he had a full-time aide and scribe to take notes. He later relied on his brother to help him with experiments involving an electrical heater – “to ensure that in case a catastrophe happened, someone would be there to help me,” he explains. He typed his entire dis-ser-tation with two fingers. Dr. Oetelaar’s professors encouraged him to persevere. “I was extremely nervous about getting concepts across when I first began my teaching assistantship, but the professors assured me that I could do it,” writes Dr. Oetelaar, who delighted in teaching for the next four years. Since graduating with a PhD in mechanical engineering in 2013, he’s taken a position at a Calgary company that designs and builds high-tech telescopes. The research of Kristin Snoddon, who began teaching at Carleton University in the fall, exposes a contradiction many Canadians are unaware of. Deaf individuals have the legal right to interpreters in educational settings, but learning sign language in the first place is becoming increasingly difficult. Deaf children born to hearing parents often don’t have access to sign language programs in their crucial first years. In addition, cochlear implants – which can bring limited hearing to many deaf children – have led medical and educational professionals to view sign language as a barrier to spoken language development, says Dr. Snoddon. 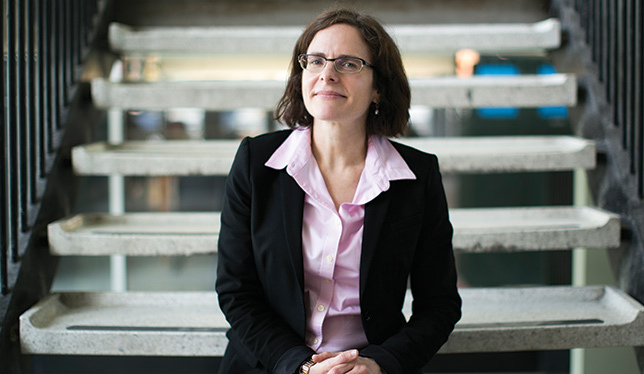 She says this view of signing as a second-rate communication method undermines the “distinct linguistic and cultural identity of the deaf community.” The assault on sign language is also developmentally unsound – her research shows that models that encourage exposure to both sign and spoken language offer great developmental benefits for children. Dr. Snoddon’s position as the first deaf professor at Carleton sends the message that “the deaf community needs to have a voice in the development of policies that affect them,” says Jim Cummins, Dr. Snoddon’s PhD supervisor and a professor at the Ontario Institute for Studies in Education at the University of Toronto. Carleton also employs several deaf sign-language instructors. In her teaching, Dr. Snoddon tackles current policies and practices around sign language and explores the various discourses around deafness. Carleton has hired a full-time interpreter, in addition to the part-time interpreters, who will help other hearing impaired ASL instructors to participate in university life, says Dr. Gess. Carleton is well known for its attendant program, which offers students with disabilities full-time aides to help with challenges that can stand in the way of learning. According to Larry McCloskey, director of the university’s Paul Menton Centre for Students with Disabilities, Carleton is now expanding this program to faculty members. Staff at the Office for Students with Disabilities, or OSD, at McGill University noticed a curious trend last year – while students accessing their services had risen three-fold in three years, the increase among indigenous students was miniscule. After reaching out to First Nations students and organizations, OSD staff discovered that language was partly to blame. “This terminology of help and assistance is difficult for indigenous students to embrace,” says Frédéric Fovet, director of the OSD. Most indigenous students have already overcome tremendous hurdles, with little help along the way, he explains. Meanwhile, the “disability” label is often used by school officials and teachers to excuse systemic failings. “You have schools up north … reporting 20 to 25 percent of students have attention deficit hyperactivity disorder,” says Mr. Fovet. “That’s impossible.” To address the stigma and discrimination associated with “disability,” the OSD replaced such wording in its “My Access” campaign. Another reason indigenous students are less likely to access disability services is they’re often overwhelmed by a myriad of barriers and don’t know where to start. An indi-genous student might wonder, “Is my biggest issue my financial situation, or the fact that I’m homeless, or the fact that I have a learning disability?” says Mr. Fovet. He suggests disability services staff should reach out to indigenous students by attending events or visiting indigenous spaces on campus. Disability offices also need to strengthen connections with other campus services, he adds.